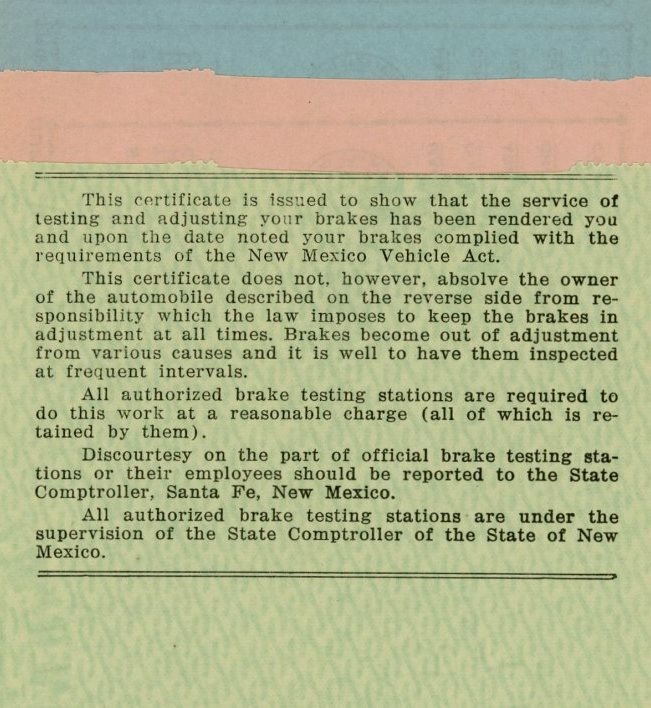 As early as 1929 the New Mexico Legislature authorized the Motor Vehicle Commissioner to designate selected garages and service stations to serve as official stations for the periodic testing and adjusting of lights, brakes and steering equipment on motor vehicles. 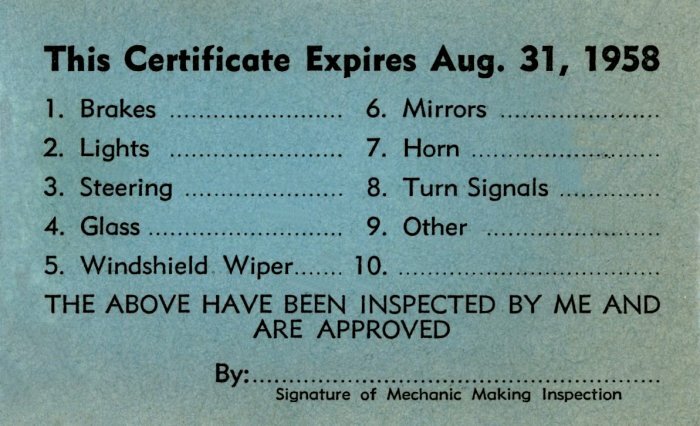 Upon completion of inspection and any necessary adjustments to place the vehicle in good working condition, a certificate verifying completion of this process was provided to the vehicle owner. 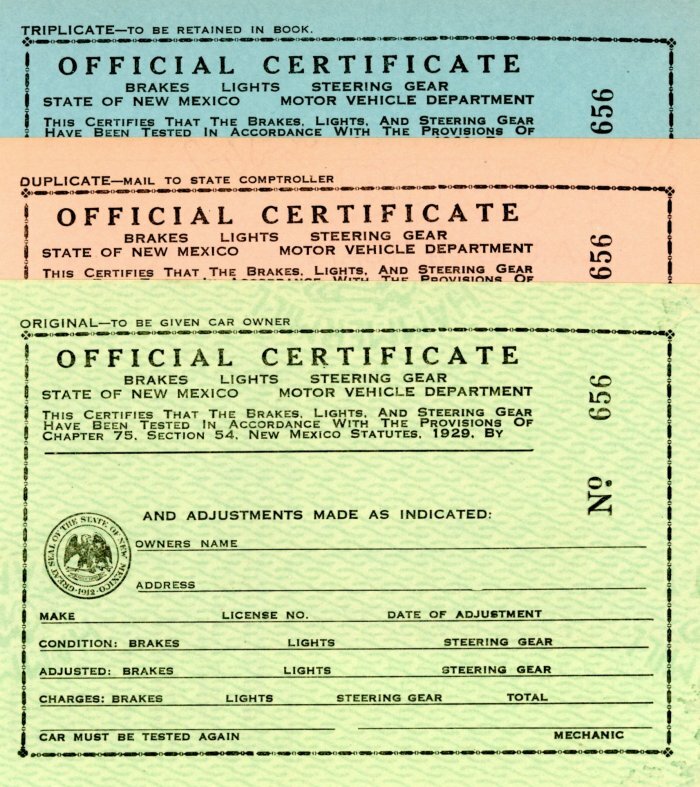 In later years a windshield sticker was used in place of the certificate. 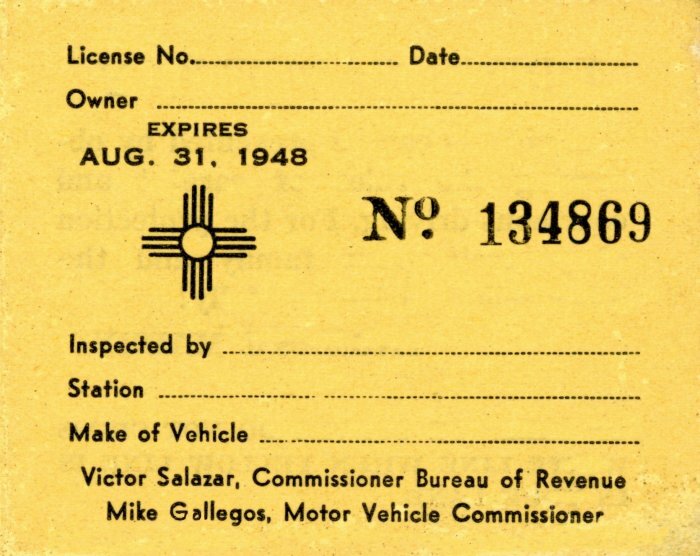 In the 1950s the safety inspections became much more comprehensive and were being conducted twice a year. 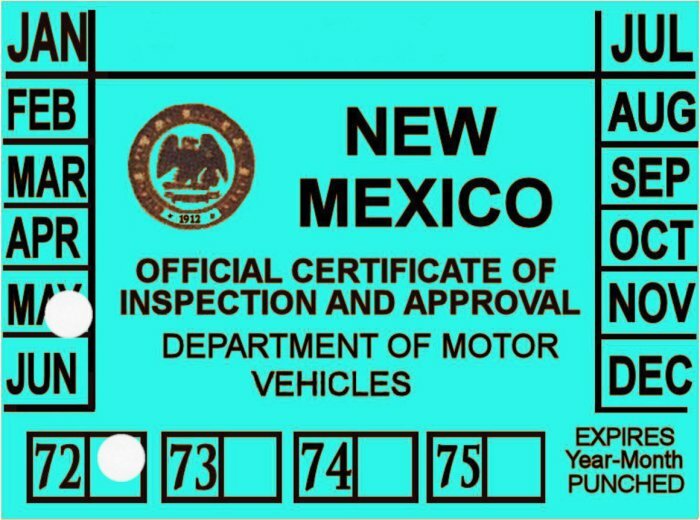 For the next couple of decades service stations conducted these inspections for a nominal fee of a dollar or two, but where they made their real profit was in rectifying alleged “deficiencies” on the vehicle before issuing the sticker. The most infuriating scam was the requirement that the headlights be “aligned.” Each station had a movable target attached to the far wall of the service bay. The mechanic would simply move the target up or down a few inches to “prove” that the headlights were out of alignment, then adjust the headlights to match. 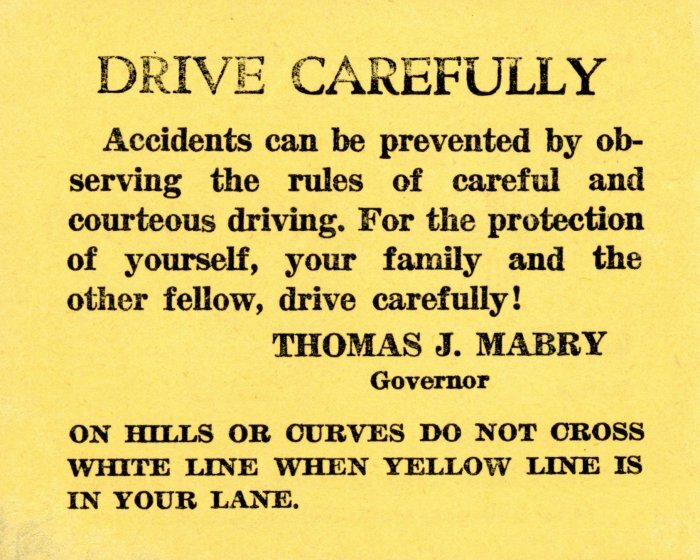 For this, the motorist was charged a fee of four or five dollars, a very hefty sum in those days. More than one news organization conducted exposés wherein a single vehicle was taken to ten different inspection stations in immediate succession. Every station declared the headlights to be out of alignment, moved the lights to match their own wandering target, and applied the requisite shakedown. 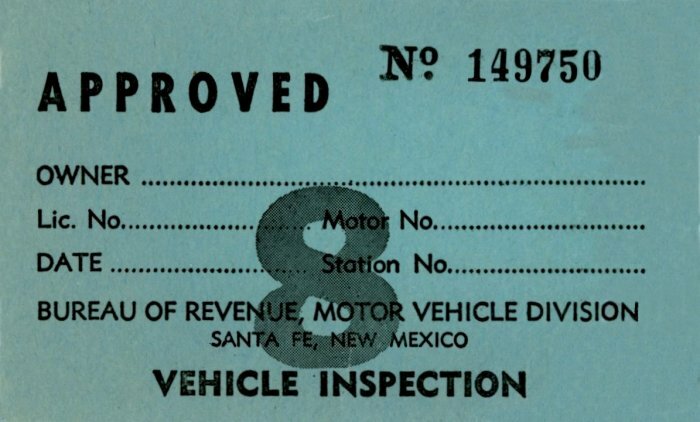 Public outrage finally grew to the point in the early ’70s that the legislature was forced to completely do away with the so-called safety inspections—and the attendant stickers.